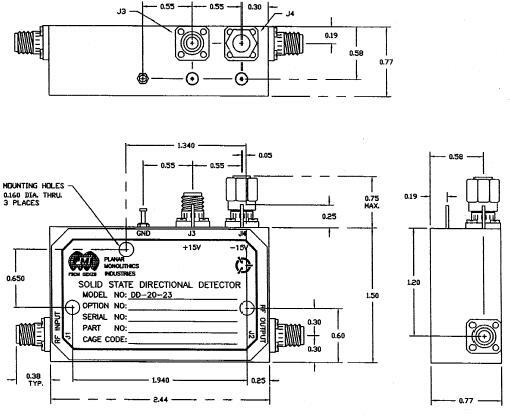 PMI Model No: DD-20-23 is a High Speed, DC-Coupled, Directional Detector with 20dB Directivity and 3 Watt Input Power Handling. The DD-20-23 is designed to operate over the 2.5 to 3.0 GHz band and the size is 2.44 X 1.50 X 0.77 inches. Size 2.44" x 1.50" x 0.77"